A city simulator quite like SimCity style, now in your worlds of Minecraft. Simburbia 1.8 or Simburbia City Simulator 1.8 is a map that permits the development of a day to day city. The mod author draws a parallel with the cities of the simulation game SimCity, giving us a new evolutionary system for a Minecraft map that leverages several new features of this new version 1.8 of Minecraft. The map gives us access to a city that can evolve, where we can interact with its inhabitants, that will give us missions to complete and where you can buy and sell things using coins. In this simulator for Minecraft cities, population will exist in concept, with increases and dropouts, there will also energy systems and natural disasters. This map can only work in the current 1.8 version of Minecraft, because it uses features added in this latest update of the game. 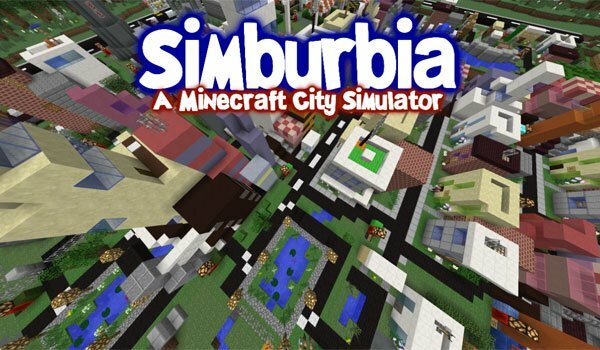 How to install Simburbia City Simulator Map for Minecraft 1.8?